Climate Common Sense: Serious Problems with Models - Sea Level Paper debunks Ridiculous CSIRO Predictions. 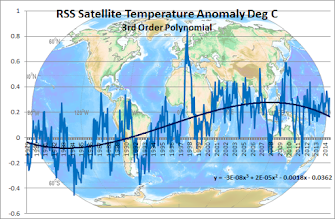 Serious Problems with Models - Sea Level Paper debunks Ridiculous CSIRO Predictions. An Australian expert,Phil Watson , has written a peer-reviewed paper showing that sea levels which have been rising naturally since the Little Ice Age are now decelerating . This agrees with data from US researchers Houston and Dean also using real data from tide gauges. Satellite data from Envirosat also shows sea levels have not risen for a number of years . 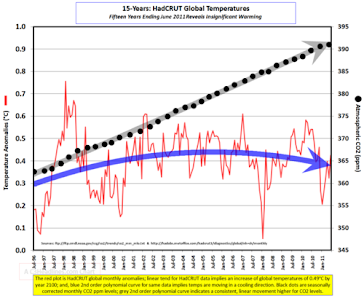 With no temperature increase in 15 years and sea levels defying computer models how much more do we need to dump the whole global warming scam.It also shows up CSIRO for the useless propaganda machine it is for it's faulty sea level predictions and slavish adherence to the AGW line. ONE of Australia's foremost experts on the relationship between climate change and sea levels has written a peer-reviewed paper concluding that rises in sea levels are "decelerating". The analysis, by NSW principal coastal specialist Phil Watson, calls into question one of the key criteria for large-scale inundation around the Australian coast by 2100 -- the assumption of an accelerating rise in sea levels because of climate change. Based on century-long tide gauge records at Fremantle, Western Australia (from 1897 to present), Auckland Harbour in New Zealand (1903 to present), Fort Denison in Sydney Harbour (1914 to present) and Pilot Station at Newcastle (1925 to present), the analysis finds there was a "consistent trend of weak deceleration" from 1940 to 2000. Mr Watson's findings, published in the Journal of Coastal Research this year and now attracting broader attention, supports a similar analysis of long-term tide gauges in the US earlier this year. Both raise questions about the CSIRO's sea-level predictions. 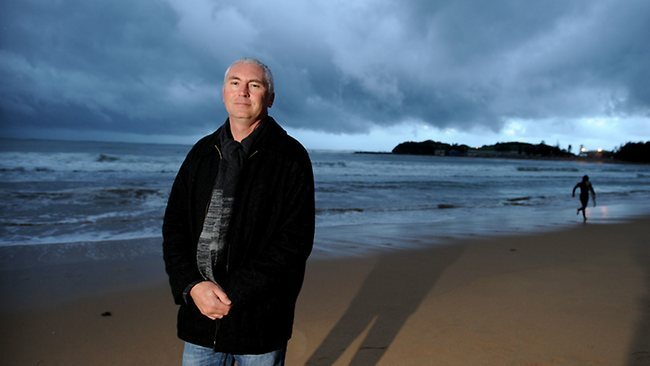 Climate change researcher Howard Brady, at Macquarie University, said yesterday the recent research meant sea levels rises accepted by the CSIRO were "already dead in the water as having no sound basis in probability". "In all cases, it is clear that sea-level rise, although occurring, has been decelerating for at least the last half of the 20th century, and so the present trend would only produce sea level rise of around 15cm for the 21st century." Dr Brady said the divergence between the sea-level trends from models and sea-level trends from the tide gauge records was now so great "it is clear there is a serious problem with the models". "In a nutshell, this factual information means the high sea-level rises used as precautionary guidelines by the CSIRO in recent years are in essence ridiculous," he said. During the 20th century, there was a measurable global average rise in mean sea level of about 17cm (plus or minus 5cm). But scientific projections, led by the Intergovernmental Panel on Climate Change, have suggested climate change will deliver a much greater global tide rise in mean sea level this century of 80-100cm. 2004 levels are the same as 2011 levels and this is what warmist "scientists" call accelerating sea level rises. They have the same problem with temperature data. Of course this is real world data and cannot be believed . "already dead in the water". So is Gillard. The same scientific principles that allows you to fly in a plane, heat your food in a microwave, surf the net on a computer and save your child’s life at a hospital are used in human induced climate change observations, modelling and predictions. If you reject the science of climate change you are a hypocrite to benefit from the other benefits of science and the process you claim to be corrupt. All areas of science have seen the effects of rapid climate change caused by the burning of fossil fuels. This article only looks at one element in isolation; sea level rises over a short period of time. The full article also has observed a high rate of increase in ocean levels post 1990s which if continues will match climate change models. No one would ever fly in a plane designed by scientists and especially "climate scientists" who have bastardised the name of science. Real scientists adhere to the scientific method which is to attempt to falsify a theory to validate it. Good scientists who attempt to falsify the climate scam are called deniers and get no funding for research. There is no such thing as "the science of climate change" as Warmists interpret it so there is nothing for me to reject any more than I would need to reject the science of witchcraft. This is a complete misrepresentation of Phil Watson`s views. See Pittwater Council`s website. Although you could get the impression from reading only the abstract of the paper that he is saying sea level rises are slowing, if you read the whole thing you will find that one of the main points of his paper is that guage readings which are not accompanied by measurements of changes in the height of the land useless. This article is either sloppy journalism or dishonesty. And portraying 70 year old ex-micropaleontologist, retired Mosaic Oil boss (and ex-priest) Howard Brady as a climate change researcher is a bit rich! Amazing how those with the strongest links to fossil fuel companies - like mining geologist and director of four mining companies Ian Plimer - are always good for a quotable quote on how climate change is not happening. What is amazing is how people can call themselves scientists and say that sea level rises are accelerating when you look at the Envisat data I have included. It is probably not surprising given they have the same problem with real world temperature measurement.As for the ad hominem attack on Howard Brady and Ian Plimer it is interesting to note that geologists as a whole reject the whole global warming boondoggle and no warmist scientist would debate them at the recent Canadian conference. These people have hard science based degrees , and post -normal science is as relevant to them as Grimm's fairy tales.